About | ESRD | Engineering Software Research and Development, Inc.
ESRD, Inc. is the developer of StressCheck®, the world’s premier high definition, detailed analysis simulation tool, and are thought leaders in Simulation Governance, the deployment of Smart Engineering Simulation Apps and the Democratization of Simulation. We have dedicated our professional careers to delivering reliability. Engineering Software Research and Development, Inc. (ESRD) is a Missouri Corporation founded in 1989 by Dr. Barna Szabo, Mr. Kent Myers, and Dr. Ivo Babuska. ESRD is engaged in the development of advanced engineering software products and offers professional services in areas pertaining to numerical simulation in the fields of mechanical, aerospace and structural engineering. ESRD’s flagship software product, StressCheck® Professional, is an advanced FEA tool having numerous unique technical capabilities. It is the first and so far only FEA software product designed to support Simulation Governance. ESRD’s vision for the practice of engineering simulation is that computational analysis should be simple, accurate, fast, efficient and reliable (S.A.F.E.R.) not just for expert structural analysts, but equally so for engineers without specialized training. 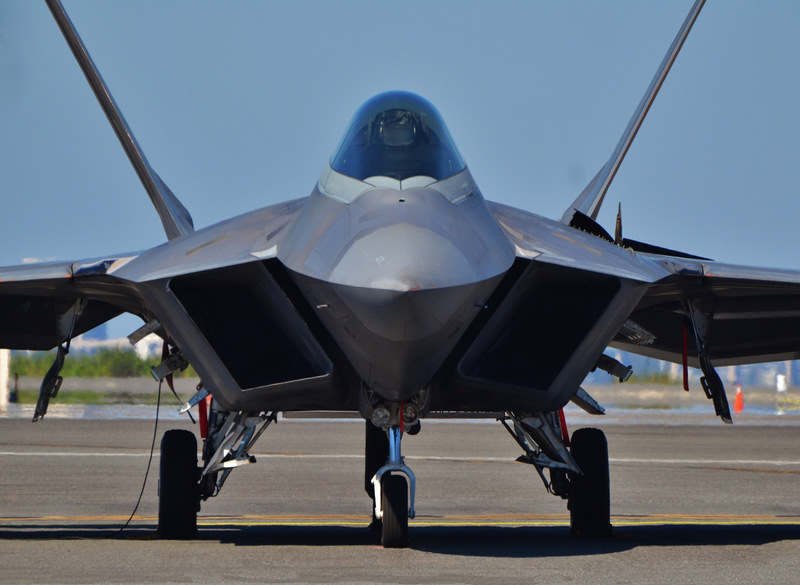 Unfortunately, most commercial software solutions based on legacy FEA methodologies remain overly complex to use, slow to master, costly to deploy for production use, and risky for non-experts to employ with any degree of confidence and reliability assured. ESRD’s mission is to lead the effort to democratize simulation by greatly expanding the use of simulation tools through our technology thought leadership, advancements in numerical simulation, industry-focused product portfolios, problem-solving R&D projects, and innovation in Simulation Apps. For over 25 years ESRD has executed on its mission by closely collaborating with its customers to develop and deliver the next generation of numerical simulation tools that advance the quality, reliability, and timeliness of information which serves the engineering decision making process. ESRD’s passion is to help each customer to leverage their engineering simulation capacity to the fullest by encapsulating complexity, containing cost, improving reliability, mitigating risk, and accelerating the maturity curve of the simulation function to improve the performance of their products, programs, processes, and organizations. The founders believe that the key challenge for providers of engineering software is to improve the reliability of information generated by mathematical models while substantially reducing the time required for performing computer-aided design and analysis tasks. This means no shortcuts, tricks, or “Finite Element Modeling“. Only S.A.F.E.R., Finite Element-Based Numerical Simulation. 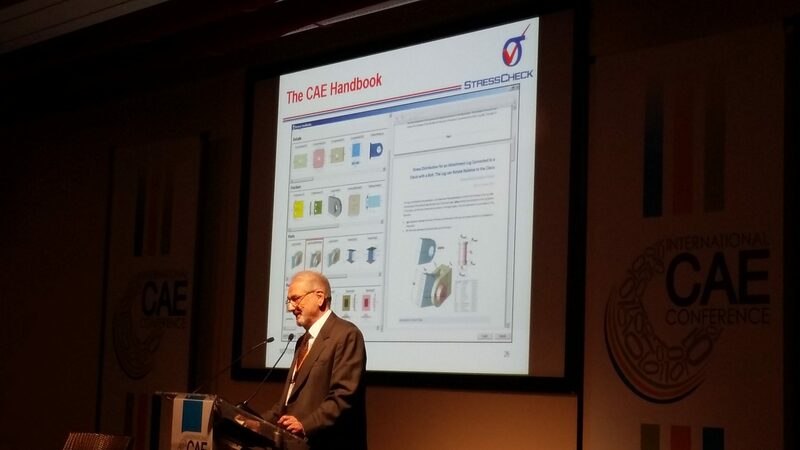 ESRD's Chairman Dr. Barna Szabó presents at the 30th International CAE Conference in Verona, Italy. The principals of ESRD have been performing research and development related to finite element analysis for more than 30 years. The knowledge base implemented in StressCheck® Professional has been thoroughly documented in peer-reviewed professional journals and textbooks. ESRD has undertaken numerous directed development contracts from industry OEM’s to enhance StressCheck® Professional to suit specific technical requirements and to develop customized engineering applications that utilize the StressCheck® Professional API to serve the needs of corporate design and analysis tools. Prior to his retirement from the School of Engineering and Applied Science of Washington University in 2006, he served as the Albert P. and Blanche Y. Greensfelder Professor of Mechanics. His primary professional interest is assurance of quality and reliability in numerical simulation of structural and mechanical systems by the finite element method. He has published over 150 papers in refereed technical journals, several of them in collaboration with Professor Ivo Babuška, with whom he also published two textbooks on finite element analysis (Wiley, 1991, Wiley 2011). 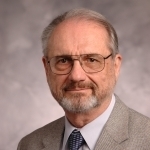 He is a founding member and Fellow of the US Association for Computational Mechanics. Among his honors are election to the Hungarian Academy of Sciences with an honorary doctorate. Dr. Ricardo Actis received his D.Sc. degree in Mechanical Engineering from Washington University in St. Louis in 1991. He joined ESRD shortly after graduation as the senior engineer and later director of engineering development, position which he held until 2008 when he was appointed vice-president. In 2011 Dr. Actis became CEO of the company, and the role of President and CEO in 2016. During his years at ESRD, Dr. Actis had direct responsibilities for the implementation of advanced FEA procedures, including material and geometric nonlinearities, thin solids formulation, plates and shells, multi-body contact, composite material analysis techniques, post-processing procedures, including the extraction of fracture mechanics parameters for metallic and composite structures. He is currently responsible for managing the formulation and implementation of engineering functionality within the infrastructure of the finite element analysis software product StressCheck®. Since 1994 Dr. Actis also serves as an adjunct professor at the School of Engineering and Applied Science in the Department of Mechanical Engineering and Materials Sciences at Washington University in St. Louis, teaching in the areas of strength of materials, aircraft structures, and finite element analysis. Dr. Sebastian Nervi received his D.Sc. degree in Mechanical Engineering from Washington University in St. Louis in 2005. Prior to receiving his degree, he joined ESRD that year as the Senior Staff Engineer. He was later promoted to Director of Engineering Development, a position which he held from 2008 to 2012. 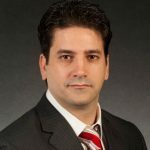 In 2012, Dr. Nervi became a contract engineer for the Boeing Company and in 2015 rejoined ESRD as the Product Manager, overseeing the life cycle of all ESRD software. 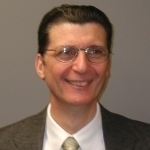 During his years at ESRD, Dr. Nervi has had direct responsibilities for the coordination and management of the engineering team in engineering consulting services for the mechanical and aerospace industry, as well as management of the research and development team for implementation and enhancement of new functionalities on ESRD’s finite element analysis product StressCheck®. He has also been in charge of development of new functionalities, enhancement of existing capabilities, testing and documentation of commercial finite element analysis products, applications in non-linear continuum mechanics, residual stresses and fracture mechanics. Currently Dr. Nervi is in charge of ensuring solid product management, from inception to the market. 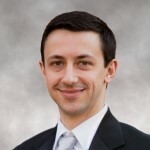 Mr. Matt Watkins joined ESRD in 2009 as an Application Engineer. He holds a M.S. degree in Aerospace Engineering from Washington University in St. Louis, where he currently teaches finite element analysis as an adjunct instructor in the School of Engineering and Applied Science. In 2016, he received his Missouri Professional Engineering (PE) license and was promoted to Engineering Project Manager. In this role, he coordinates and leads the ESRD engineering services team in funded projects and research in the areas of fracture mechanics, residual stress, distortion, and the development of simplified software tools which allow non-experts to use advanced analysis methods in safe and reliable frameworks. The technically challenging environment at ESRD has provided a great opportunity for him to combine his engineering experience with his long-time enjoyment of programming complex software. Watch this video from Dr. Barna Szabó, our Chairman and Co-Founder, to learn more.